Ms. Girgis was admitted to the Ontario Bar in 1993. She graduated from the University of Calgary Law School in Alberta, Canada in 1991. 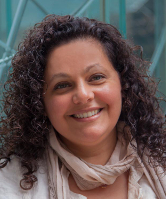 Ms. Girgis is also a graduate of University of Toronto, having completed degrees in both Biology and Political Philosophy. After completing her articling year in 1992 with the law firm of Beard Winter in Toronto, Ms. Girgis worked with the law firm of Crewe Marks, where she began to specialize in Family Law. In 1996 Ms. Girgis joined Levine Associates and continued her practice in Family Law. Since that time she has focused her area of practice predominantly in the area of Family Law, with some time spent preparing Wills and Powers of Attorney as needed by her clients. Ms. Girgis represents her clients in all areas of Family Law, including representation in the Ontario Courts, dealing with litigation of custody, access, child support, spousal support, equalization of net family property, division of property between common-law spouses, and enforcing or setting aside of domestic contracts. Ms. Girgis also prepares all types of Domestic Contracts for her clients, such as marriage contracts, pre-nuptial agreements, separation agreements, etc. Ms. Girgis has served on the Board of Directors of a not-for-profit children’s daycare center in Markham, Ontario for almost 20 years, and she currently serves as the Chairperson of that Board. Ms. Girgis has also participated in fundraising campaigns for the Cancer Society, and is involved in several activities, including book clubs, fitness classes, skiing and swimming.